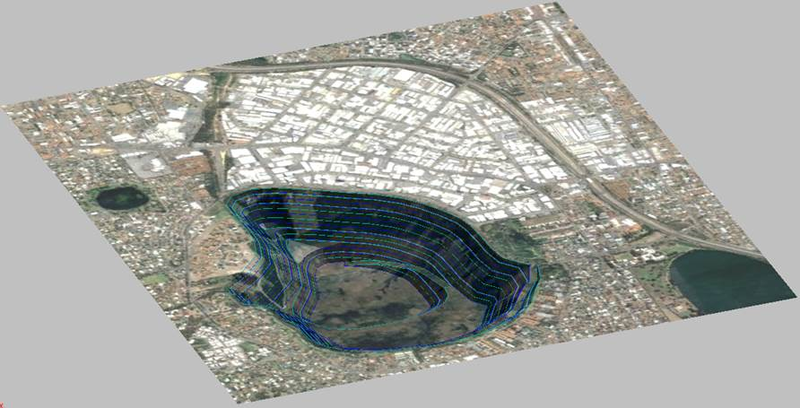 Sometimes there is a need for displaying Surpac data (.str) in Google Earth and vice versa. To support this, I took the opportunity to develop a dedicated macro, which is downloadable here. The Macro is simple to use but currently only works for zones 31 to 60. 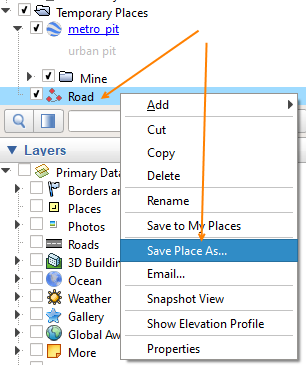 If you are working in MGA you can convert back and forth using the MGA option. The options panel allows you to create slightly different effects in google earth depending on what you are trying to achieve. The image below shows a string file converted to kml using orange lines and flatten z values checked. 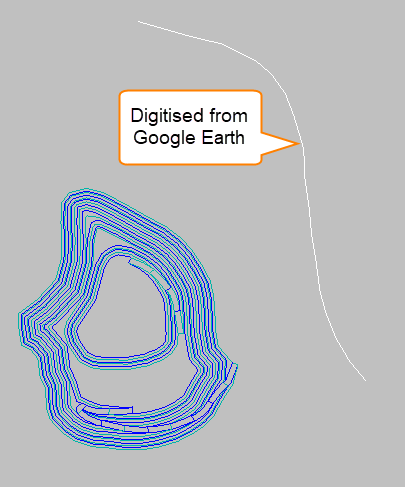 The second macro allows you to digitise any area on google earth and then save it as a .kml file. 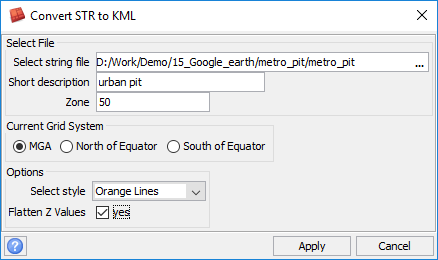 You can then take the .kml file and turn it into a string file for use in Surpac. 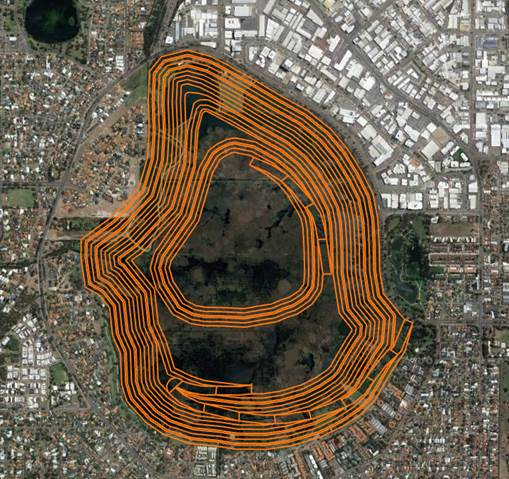 The first step is to digitise an area on Google Earth. I use the ruler function for this and then save it. 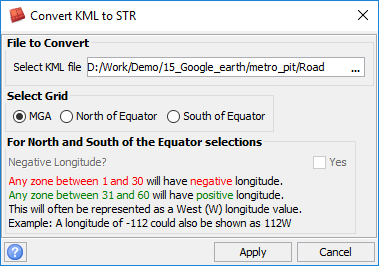 In Surpac, find the .kml file and run the second macro, kml to str. 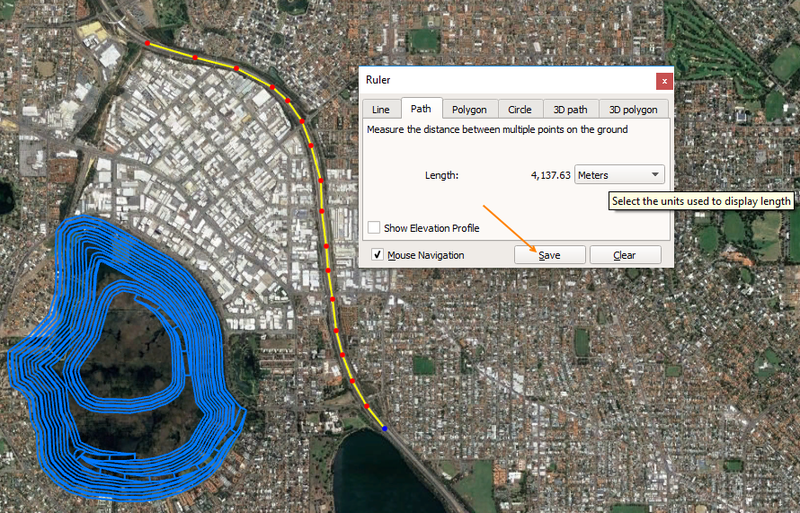 You can extend this functionality by digitising boundaries in Google Earth and taking screen shots using the boundary as a reference. 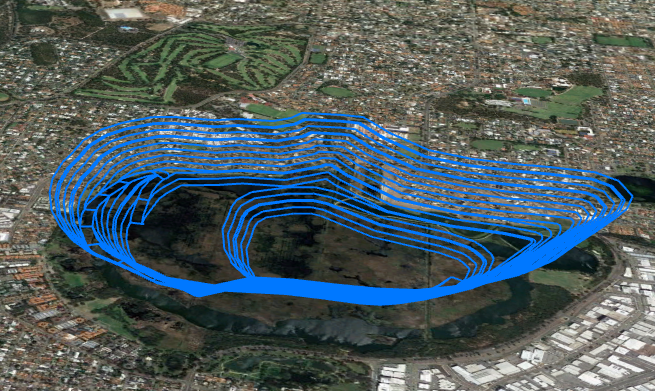 The boundary can then be used in Surpac for draping images over dtm’s giving you the effect below.